Each of our homes has a unique feel, and this year we will be taking you to Crystal, Janet, Katie and Sandra's homes for a peek at their decor. Crystal tops her tree with something other than a star or an angel (you really must see it) and her decor goes far beyond the living room. 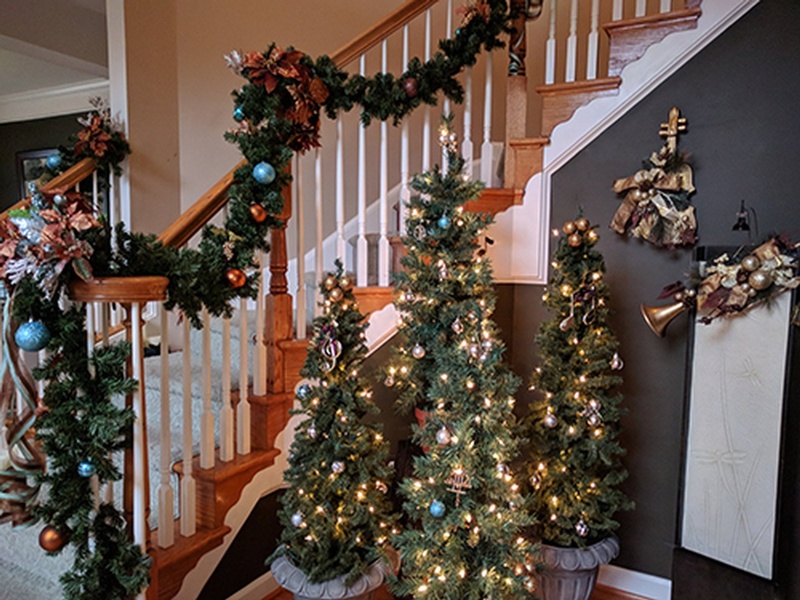 Janet's home features elegant seasonal touches paired with a family tree trimmed with handmade and special ornaments. Katie has an amazing talent for creating gorgeous garlands that are hung with care throughout her house. And Sandra shares her family tradition of decorating each bedroom door with a wreath, which her young boys add something new to each year. Happy Holidays to you! May the coming year be filled with heath and happiness for you and your families.